At-Home Root Touch-Ups: Godsend Or Hot Mess? 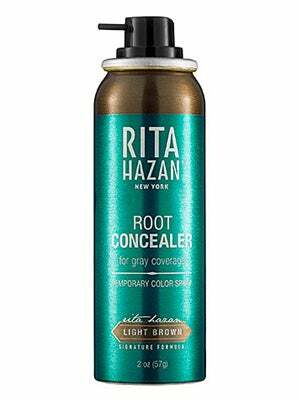 Rita Hazan Root Concealer, $25, available at Sephora. Try as we might, we can never seem to be those girls who have their hair color appointments booked an even six weeks apart. Meaning: We've seen our fair share of unruly roots, sprouting grays, and lackluster tone — but who has time to be running to their colorist on the reg? Not us, we say. The obvious solution is temporary root cover-up, which claims to make a fast, easy difference in the short-term without a trip to the salon (or a potentially hazardous at-home dye job). True, there are good ones out there — one winner we've found is the Color Wow kit — but also many that are messy, or just plain ineffective. To shed some light on this ever-expanding category of products, a writer over at The Cut took seven for a spin, and chronicled any and all side effects — from spots on her scalp to "fingernails full of soot." Yikes.